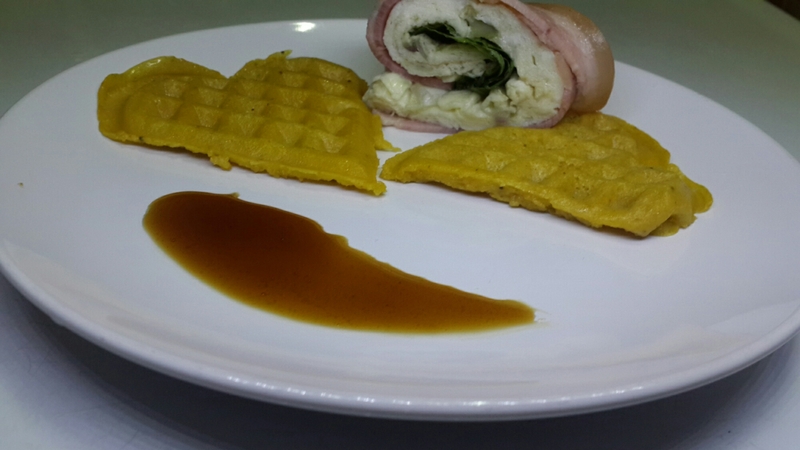 Plantain Waffles with Bacon wrapped omelette and lettuce, and Sweet Soy/Pepper Syrup. Not a piece was left on the plate! 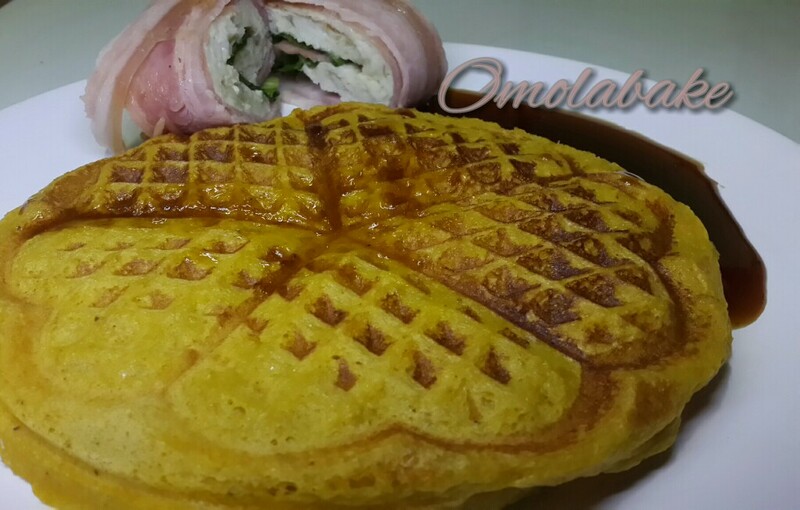 • Vegetable Oil (i used coconut oil) to grease waffle iron. – Cut plantain into chunks and blend with pepper, egg or water , salt, to a smooth paste. 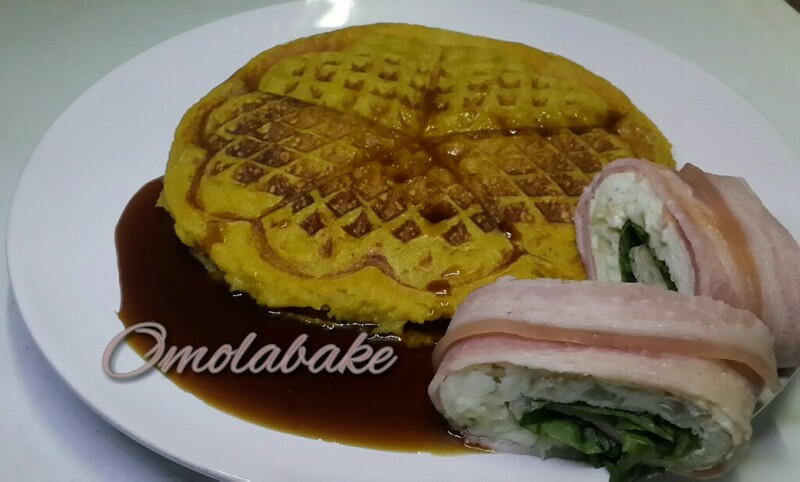 – Use a pastry brush to brush the oil on the waffle iron, scoop the blended plantain paste into the waffle iron, close up and let it cook, according to the manufacturer’s instructions on your device. – Blend pepper to a smooth paste, add 1 cup water and seive the liquid into a deep pan or pot, discard pulp. – Add sugar and soy sauce, boil till water reduces and the sauce thickens. Bacon was sautéed and used to wrap omelette and lettuce. Next Article Blueberry Pancakes (drizzled with date syrup) with a glass of Frozen Yoghurt and fruits.